Dr. Donald L. Rasmussen, an internal medicine specialist who helped spark the 1969 Black Lung Strike, died on Monday. He was 87. Born on Feb. 24, 1928, Rasmussen grew up in Manassa, in the San Louis Valley in Colorado. 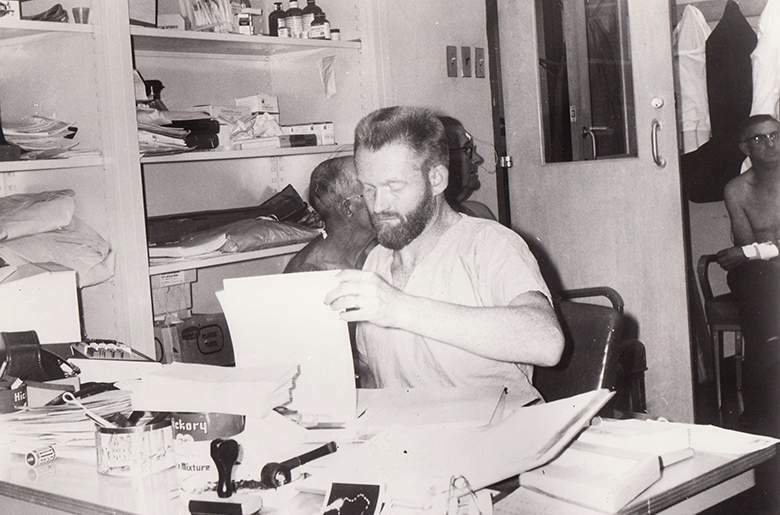 After attending medical school at Utah State University, Rasmussen joined the Army in 1955 as a captain who specialized in internal medicine. He learned a lot about chest diseases and became chief of chest diseases at Brooke General Hospital in San Antonio, Texas. When he left the Army in 1952, Rasmussen came to Beckley and began working at the Appalachian Regional Hospital and testing coal miners for pneumoconiosis, or black lung disease. Throughout the 1960s, Rasmussen became involved in groundbreaking research about black lung, a sometimes-fatal disease caused by inhaling coal dust. “Rasmussen advanced his conclusion that simple pneumoconiosis, which frequently did not show up on lung x-rays, nevertheless caused the breathlessness among miners that might be apparent only through exercises on a treadmill accompanied by a blood-gas test,” former Congressman and Secretary of State Ken Hechler wrote in the West Virginia Encyclopedia. We are extremely saddened to learn of the passing of Dr. Donald Rasmussen today. Because of his courage and determination, thousands of miners who suffer from black lung are getting treatment and benefits that they would not otherwise get. He was a pioneer in advocating for miners who have this insidious disease. When other doctors were taking the company line and denying that black lung existed, Dr. Rasmussen was testifying before state legislatures and Congress, fighting to win recognition that breathing coal dust was killing miners. The hearts and prayers of the entire UMWA family are with the Rasmussen family. They have lost a loved one, and coal miners have lost a strong advocate who will long be remembered.